Unless you were watching Twin Peaks when it first went on the air back in April of 1990, it may be difficult to appreciate both how radically different and phenomenally popular it was. Twin Peaks is arguably the most influential television series of the last few decades but even so, there still isn’t anything quite like it on network TV. Back then, it was like a seismic rift had opened. The show looked, sounded and felt unlike anything that had been seen previously. On the most superficial level, 'Twin Peaks' was a captivating murder mystery that kept the entire world guessing "Who killed Laura Palmer?" for most of a year. Much like director David Lynch's 'Blue Velvet', the characters' attempt to find a killer causes them to uncover many dark, disturbing secrets about their small American town and about each other. However, that crime story was just the lure to drag viewers into the bizarre world created by Lynch and veteran television writer Mark Frost. Once there, the series became many other things: a fantasy, a soap opera, a supernatural thriller, a teenage melodrama, an offbeat comedy, and a devastating portrait of the dark underside of American society. It managed to be all of these things at once, without contradiction, woven up into a tightly structured narrative that demanded strict attention from its audience. •Log Lady Intros (Discs 1-8, HD): Each episode of the two-season series features a brief, winding, often utterly bizarre introduction by Margaret Lanterman aka the Log Lady (actress Catherine E. Coulson) loaded with little easter eggs and references. •Episode Previews and Recaps (Discs 1-8, HD): Though only available for select episodes, diehard fans and completists will no doubt appreciate the inclusion of the series' previews and recaps. •Two Versions of Series Pilot (Disc 1, HD): Both the original 94-minute U.S. broadcast cut and alternate 113-minute international version of the series' pilot are included, with the international version boasting an additional twenty minutes of material and a different ending that allows the pilot function as a standalone film. Both are presented in 1080p with DTS-HD Master Audio 7.1 surround. •Season One Image Gallery (Disc 2, HD): The image gallery includes a variety of behind-the-scenes production photographs divided into three categories: "Season 1 Images," "Picnic" and "Ski Trip." •Twin Peaks Sneak Peaks (Disc 2, HD, 3 minutes): Six "Tonight in Twin Peaks" network promos (narrated by the aloof, ever-chatty Lucy), each remastered in HD. A Play-All option is available. •A Slice of Lynch: Uncut (Disc 3, HD, 56 minutes): The first extensive extra in the 10-disc set, "A Slice of Lynch" finds David Lynch sitting down for coffee and cherry pie with Kyle Maclachlan, Madchen Amick and post-production supervisor John Wentworth to discuss all things Twin Peaks. It's a strange, decidedly eccentric roundtable, with a bemused Maclachlan, Amick and Wentworth grinning at Lynch as if he's from descended from another planet. Awkward opening minutes aside, though, there are a lot of great little details and anecdotes to be garnered from the hour-long chat, especially once Lynch starts asking questions and allowing the trio across the bar to do the talking. Many of his questions are straight out of left field, mind you, but there's a charming weirdness to the conversation that cleverly evokes the tone of the series. Note: a 30-minute version of "A Slice of Lynch" was released in 2007. This cut is notably longer. •Season Two Image Gallery (Disc 3, HD): This second-season image gallery offers up more behind-the-scenes production photographs, this time divided into two categories: "Season 2 Images" and "Albert's Slides." •Original Promos (Disc 3, HD/SD, 5 minutes): "There's No Place Like Home," "T-Shirt Ad," "Holiday Greeting," "Patriot Greeting" and "Big Game Promo" (which features multiple takes). A Play-All option is available. •New and Previously Released Deleted Scenes (Disc 4, HD/SD, 14 minutes): Twelve newly released deleted scenes are presented in high definition -- "Cooper and Donna Talk About Picnic," "Picnic," "Cooper and Truman at Gazebo," "Mayor's Speech," "Lucy and Raccoons," "16mm Period Piece," "Bobby Coaches Shelly," "Lucy and Deputy Andy," "Jerry's Wandering Eye," "27 Going on 6," "Lucy, Andy and Donuts" and "Something About Johnny" -- followed by a 6-minute standard definition reel of previously released scenes. •Outtakes (Disc 4, HD, 2 minutes): Kyle MacLachlan and Michael Ontkean small talk the night away in a squad car and eventually crack up and share a few laughs. •The Glastonbury Archives (Disc 5, SD, 74:32 minutes): A collection of featurettes, interviews and other odds and ends culled from the series' previous DVD releases. Segments include "17 Pieces of Pie: Shooting at the Mar T (aka RR) Diner," "Mark Frost Interview with Wrapped in Plastic," "Learning to Speak in the Red Room," "An Introduction to David Lynch," "Lucy Bumpers," "1-900 Hotline," "Production Documents" and "Image Galleries." •Location Guide (Disc 5, SD, 8 minutes): A tour of the locations used to create several key locales and set pieces. Segments include "Town Sign," "Packard Lodge," "Laura's Log," "Packard Saw Mill/Sheriff Station," "The Great Northern," "Ronette's Bridge," "Double R Diner" and "The Roadhouse." •Postcards from the Cast (Disc 6, SD, 59 minutes): A large assortment of interviews with members of the cast, including Kyle MacLachlan, Richard Beymer, Michael Anderson, Kimmy Robertson, Everett McGill, Wendy Robie, Grace Zabriskie, Dana Ashbrook, Peggy Lipton, Ray Wise, Sheryl Lee, Miguel Ferrer, Madchen Amick, Don Davis, Al Strobel, Michael Horse, Piper Laurie, James Marshall, Russ Tamblyn and Catherine Coulson. •Twin Peaks Promos (Disc 6, HD, 1 minute): A pair of promos advertising the series' move to a different night, presented in HD. Promos include "Now on Saturdays" and "Twin Peaks Saturday." •Cast and Crew Interviews (Disc 7, SD, 66 minutes): Additional interviews with the cast and crew. Up first, Kyle MacLachlan, Madchen Amick, Sherilyn Fenn, Dana Ashbrook, Gary Hershberger, James Marshall, David Duchovny, Kimmy Reobertson, Don Davis, Mary Jo Deschanel, Lenny Von Dohlen, Charlotte Sewart and Robyn Lively discuss what brought them to the series, the production, and the show's legacy. 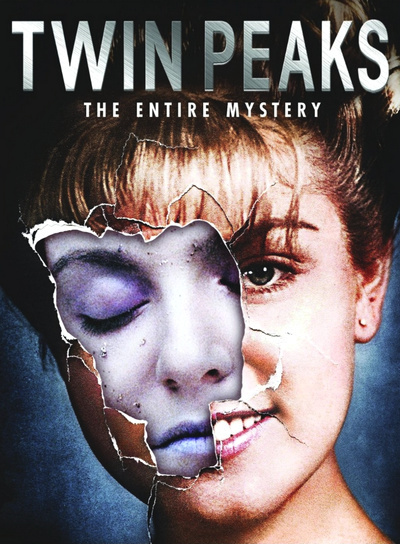 Then it's on to the crew, which includes "Laura Palmer's Diary" author Jennifer Lynch and episode directors Todd Holland, Caleb Deschanel, Duwayne Dunham, Stephen Gyllenhaal and Tim Hunter. •Secrets From Another Place: Creating Twin Peaks (Disc 8, HD, 106 minutes): Four sprawling but focused behind-the-scenes documentaries delve into the development, casting, scripting, filming, production and tone of the entire series, from pilot to finale. The documentaries include "Northwest Passage: Creating the Pilot," "Freshly Squeezed: Creating Season One," "Where We're From: Creating the Music" and "Into the Night: Creating Season Two." •Fire Walk with Me: The Missing Pieces (Disc 9, HD, 91 minutes): The holy grail of Twin Peaks fandom is finally available: an hour and a half of deleted and extended scenes from Fire Walk with Me, many of which feature characters, returning series actors and entire subplots that were cut or severely trimmed from the final film. Sweetening the deal is the fact that the compilation is presented in 1080p with DTS-HD Master Audio 7.1 surround. The only downside I suppose is that Lynch hasn't added the scenes back into the film to create a nearly four-hour director's cut. •Fire Walk with Me: Archival Interviews (Disc 9, SD, 5 minutes): Actors Ray Wise, Sheryl Lee, Moira Kelly and Madchen Amick briefly talk about their roles and the feature film in these vintage promotional excerpts. •Between Two Worlds (Disc 10, HD, 38 minutes): In what he underplays as "an interesting turn of events," David Lynch interviews Leland, Sarah and Laura Palmer (an in-character Ray Wise, Grace Zabriskie and Sheryl Lee), asking Leland about family memories and life after death, Sarah about her current whereabouts and pursuits, and Laura about her reflections on life, her time with her parents, and the beyond. It's a terribly strange epilogue yet so creepy, hypnotic and effective (particularly when Laura's speaking) that it's impossible to look away. Afterwards, the actors break character and break bread... erm, cherry pie for a much lighter, looser conversation about their time on the series. "It was the best of times," Wise begins. "It was the greatest experience!" •Moving Through Time: Fire Walk with Me Memories (Disc 10, HD, 30 minutes): The cast and crew of Twin Peaks: Fire Walk with Me reminisce about the series' cancellation, the genesis and idea behind the film, the challenges Lynch faced in writing, casting and producing, MacLachlan's withdrawal from the project, recasting Donna Hayward after Lara Flynn Boyle declined to return, and other aspects of the film, its themes, characters, world, and integration of the supernatural and surreal. •Reflections on the Phenomenon of Twin Peaks (Disc 10, SD, 31 minutes): Also included is another collection of interviews with key members of the cast and crew of Fire Walk with Me, shot between May and August 2000. •Atmospherics (Disc 10, HD, 13 minutes): The discs' menus feature various environment and show clip loops set to series music and dialogue. Want to watch them individually? Sans text and other menu overlays? Here's your chance. Atmospherics include "Trees/Woods," "Pie," "Signs/Places," "Coffee," "Notes," "Water," "Donuts," "Owls," "The Ring" and "The Red Room"
•Trailers (Disc 10, HD/SD, 5 minutes): Rounding out the 10-disc set are U.S. and international theatrical trailers for Fire Walk with Me, as well as a quick teaser for "The Missing Pieces" deleted scenes. •Fire Walk with Me Photo Gallery (Disc 10, HD): Production photographs from the film.